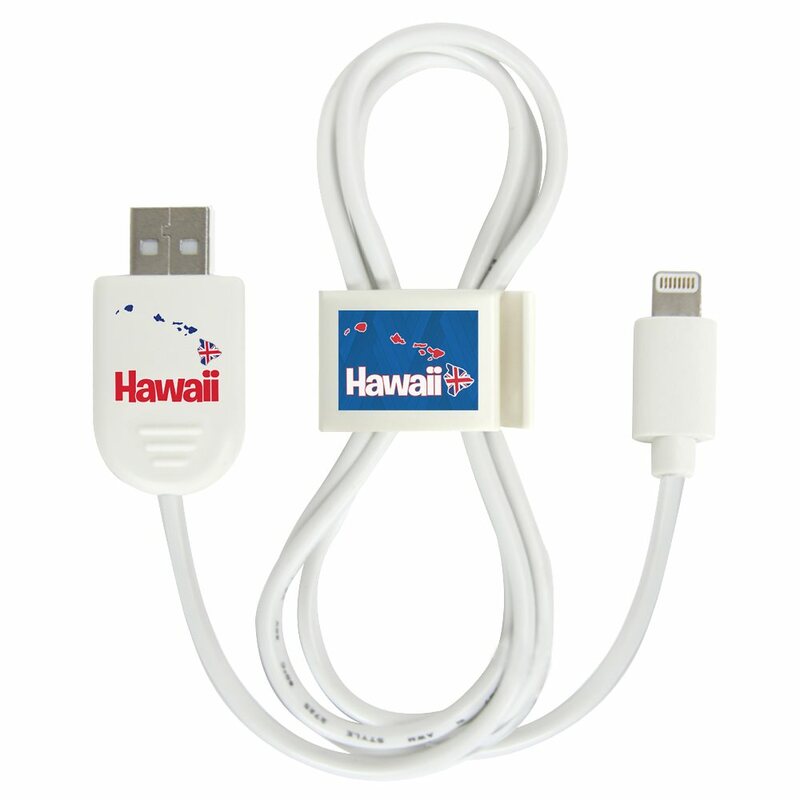 We are eager to present you with this gift, the white Hawaii Islands Lightning USB Cable with QuikClip. Never have tangled cords again with the power of the QuikClip, which also sports a flashy Hawaii icon that sets off the white cord. This set comes with a large USB cover for easy access and handling. The cable is 1 meter, giving you some flexibility and space for your mobile devices while they charge. 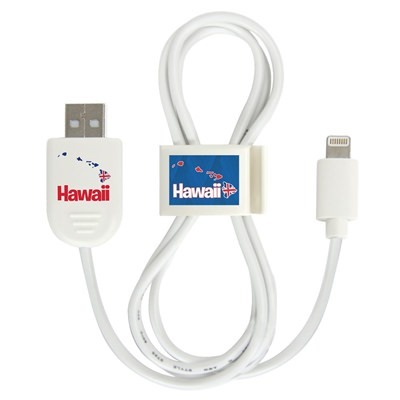 It has a standard and micro USB ends, allowing you to quickly charge your Apple products! We hope you enjoy!